Coetzer, R. (2010) Anxiety and Mood Disorders following Traumatic Brain Injury: Clinical Assessment and Psychotherapy. Karnac Books Ltd. London. Coetzer, R., Roberts, C., Turnbull, O. & Vaughan, F. (2018) Neuropsychoanalytically informed psychotherapy approaches to rehabilitation: The North Wales Brain Injury Service – Bangor University experience 1998–2018, Neuropsychoanalysis 2018. Cummings, JL., Mega, M., Gray, K., et al. (1994) The Neuropsychiatric Inventory: Comprehensive assessment of psychopathology in dementia. Neurology 1994; 44: 2308-14. Damasio, AR., Grabovski, TJ., Bechara, A., et. al. (2000) Subcortical and cortical brain activity during the feeling of self-generated emotions. Nature Neuroscience 2000; 3(10): 1049-56. Grawe, K. (2004) Neuropsychotherapie. Göttingen: Hogrefe. Judd, T. (1999) Neuropsychotherapy and Community Integration: Brain Illness, Emotions and Behavior. New York: Kluwer Academic / Plenum Publishers. Laaksonen, R. & Ranta, M., toim. (2013) Introduction to Neuropsychotherapy. 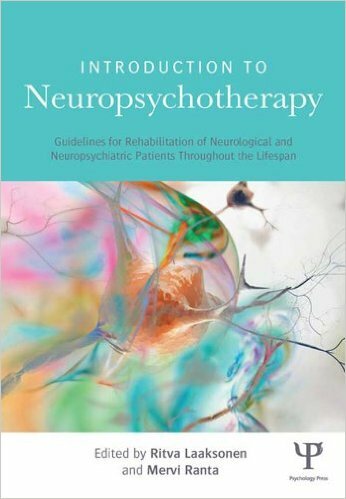 Guidelines for Rehabilitation of Neurological and Neuropsychiatric Patients throughout the Life Span. New York: Psychology Press. Laaksonen, R., Koskinen, S., Ranta, M., Sarajuuri, J. & Paavola, L. (2015) Neuropsykoterapia. Julkaisussa: M. Jehkonen, T. Saunamäki, L. Paavola & J. Vilkki (Toim. ), Kliininen neuropsykologia. Duodecim. Safran, JD. & Muran, JC. (2000) Negotiating the therapeutic alliance: A relational treatment guide. New York: Guilford.